Natchez, Mississippi is a land of antebellum mansions, ageless oaks, and the Mississippi river, a true jewel in the Southern Crown. It’s for reasons like these that most people visit Natchez, but not me. Don’t get me wrong, I love the homes and history of Natchez. I’ll never forget my history professor’s comment about his visit to the city. Teaching civil war history for a living, he wanted to see the southern battlegrounds firsthand. When it came time to see Natchez, he swears that the owner of his bed and breakfast was old enough to have seen the civil war firsthand, but I digress. I was in Natchez for an interview, but first on the agenda was lunch. That meant I was skipping the southern country cooking and heading straight to Planet Thailand, Natchez’s only Thai restaurant. 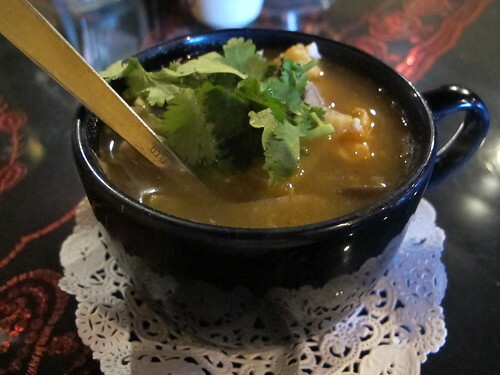 Like so many other Thai meals, this one began with a bowl of Tom Kha Gai. 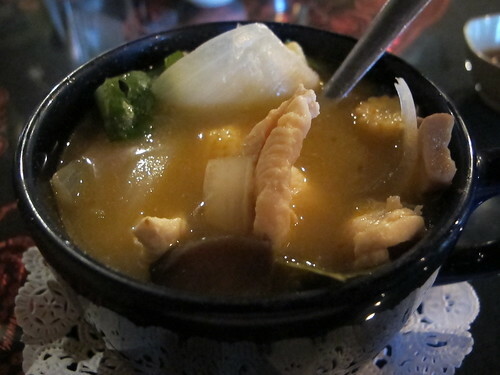 I love the description, “An exotic coconut soup with mushrooms, baby corns, onions, galangal, chili, lime leaves, and cilantro”, if only for the word exotic. This tom kha gai was unique due to a heavy kaffir lime flavor and not much in the way of coconut milk. The onion, baby corn, and mushrooms from a can were there as promised and there was a fair amount of overcooked chicken as well. 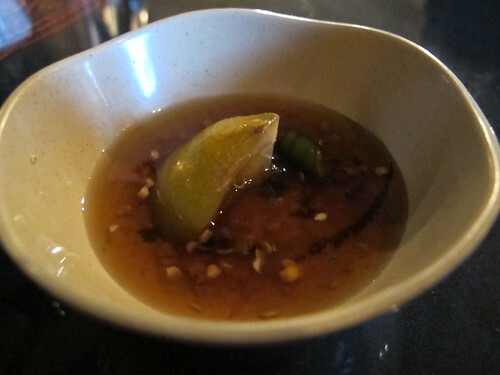 Hoping to add an extra shot of flavor to the tom kha gai and the subsequent dish, I asked for some prik nam pla. Apparently fish sauce is very hard to come by in Natchez. 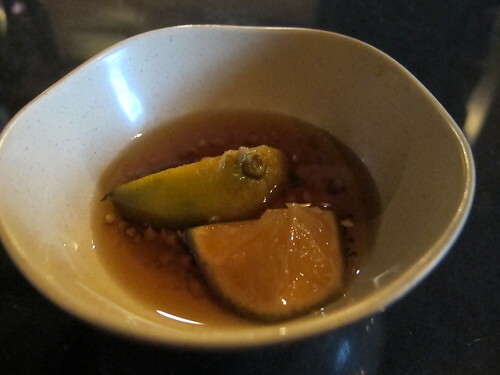 Thai chilies must be a rarity as well, but even with the small amount of punch, this little bit of prik nam pla did add a pleasant sour and spicy note to the soup. 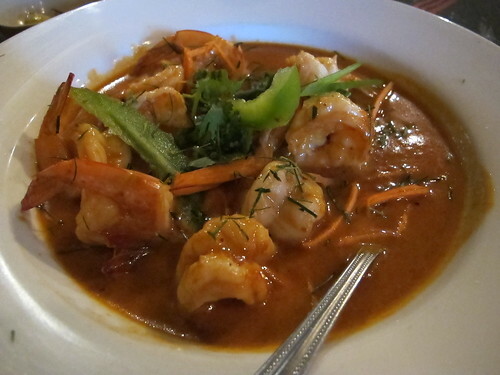 It’s hard to go wrong with a bowl of Thai curry; at least that was my reasoning behind an order of red shrimp curry. Right off the bat, this was a rich, well rounded, but grainy curry. I’m not sure what they did with the curry paste to make this so grainy, thankfully the shrimp were plump, juicy, and well cooked. Even with liberal application of prik nam pla, I kept wishing for a spicier flavor to balance the richness of this curry. I suppose that’s how I would summarize my visit to Planet Thailand. Each dish left me wanting. Looking back, I’m at a loss with the variety of “too spicy” comments on Urbanspoon. 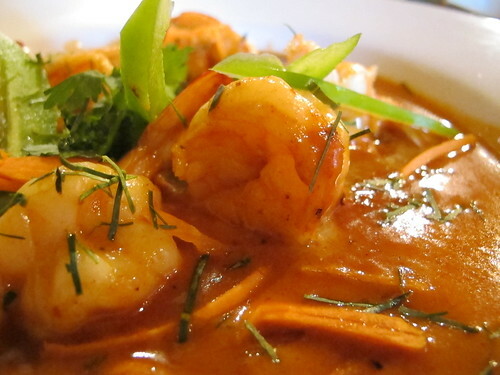 Is Natchezian cuisine that mild by comparison? 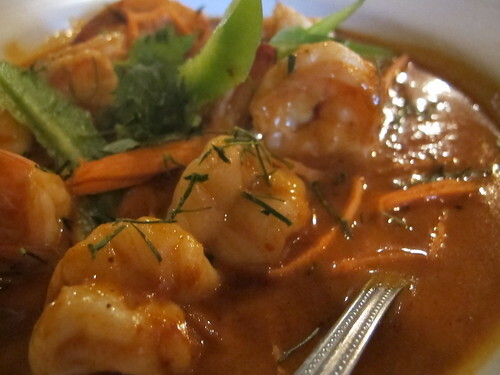 Regardless of spice, in the end, Planet Thailand is the best Thai food that Natchez has to offer. It’s the king of the hill and the only game in town. So if you’re at the end of the Trace and looking for Thai flavors and sushi, you’re in luck but be prepared to compromise.